WORCESTER’s High Street was the centre of attention for shoppers and politicians from both main parties to celebrate Small Business Saturday. Small Business Saturday UK is a non-commercial campaign which highlights small business success and encourages consumers to ‘shop local’ and support small businesses in their communities. 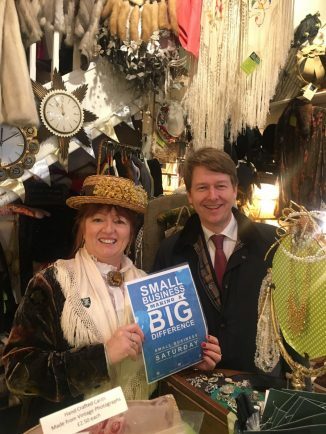 Worcester MP Robin Walker visited many shops and stalls around the city centre, including Mr Simms Olde Sweet Shoppe, Friar St Kitchen, The King’s and Mangojuice Galleries, Anja Potze, Wise Owl Toys and Rock Follies Vintage. “We are tremendously fortunate to have such a fantastic High Street and such a wealth of great local businesses to support,” Mr Walker said. Mayor of Worcester Coun Jabba Riaz and Coun Adrian Gregson, deputy leader of Worcester City Council headed to Lowesmoor to support some of the city’s independent traders. After a healthy start at The Bake House, the pair moved on to Cyber Q, Wotahoot and ABC Leisure Group before finishing their tour at the Lowesmoor Fish Bar. 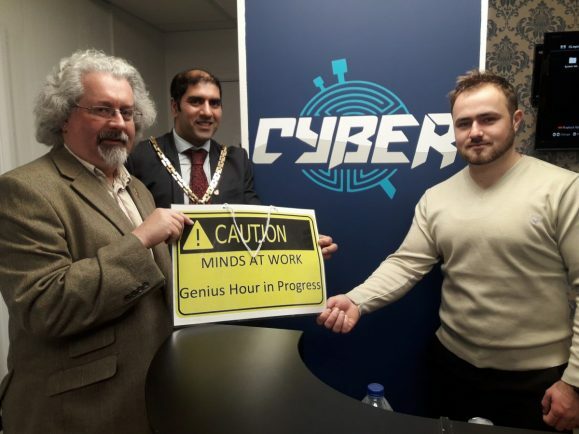 “Worcester has a deserved reputation for being home to many small, innovative and unique businesses, so it was fantastic to see how many great local firms Lowesmoor is home to,” said Coun Riaz. Labour’s parliamentary candidate for Worcester Coun Lynn Denham also grabbed her shopping bag for the event and took time to listen to local customers, shop owners and shop workers to find out what they think needs to happen to help the High Street. Among the shops she visited were Pack It In at the Market Hall in The Shambles and Chocolate Deli in New Street. 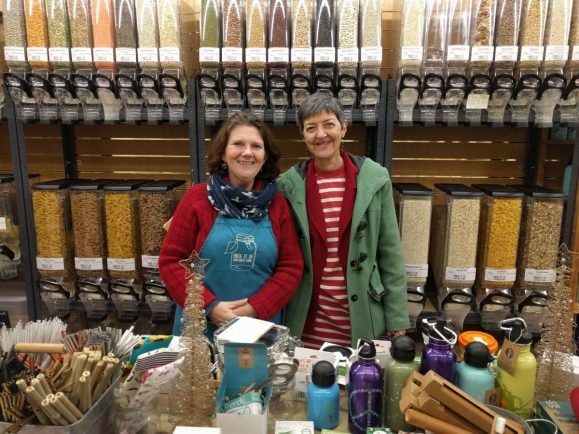 “We have an amazing range of independent shops in Worcester city centre and good local neighbourhood shops at the heart of our local communities,” she said.